Living with an ultra-rare disease like Paroxysmal Nocturnal Hemoglobinuria (PNH) is a challenge. The more patients know about the condition and their treatment, the better they will be able to manage it. 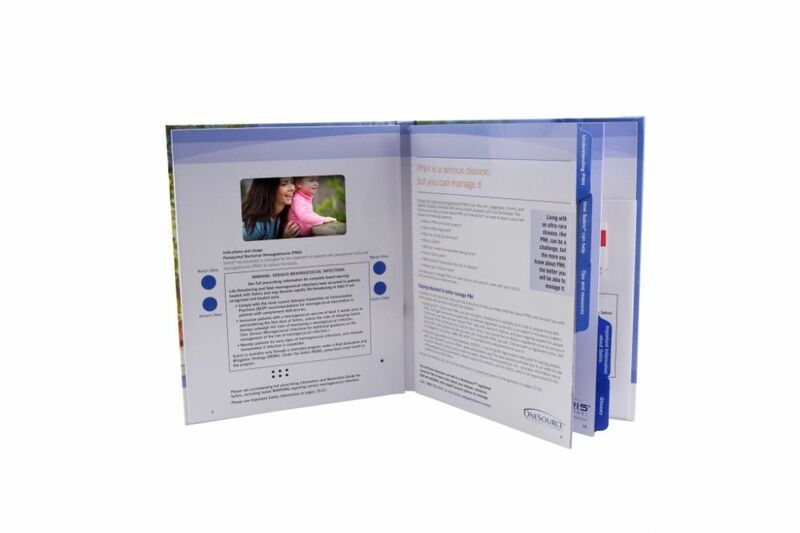 The team at Alexion needed a strong patient education brochure to support the launch of Soliris, its new PNH treatment. Needing to convey a significant amount of complex information, Alexion’s marketing team realized Americhip’s Video in Print was the perfect technology to build its patient communication piece around. Americhip’s team of paper engineers created an innovative casebound book with 6 spreads to cover all of the key topics related to the treatment. 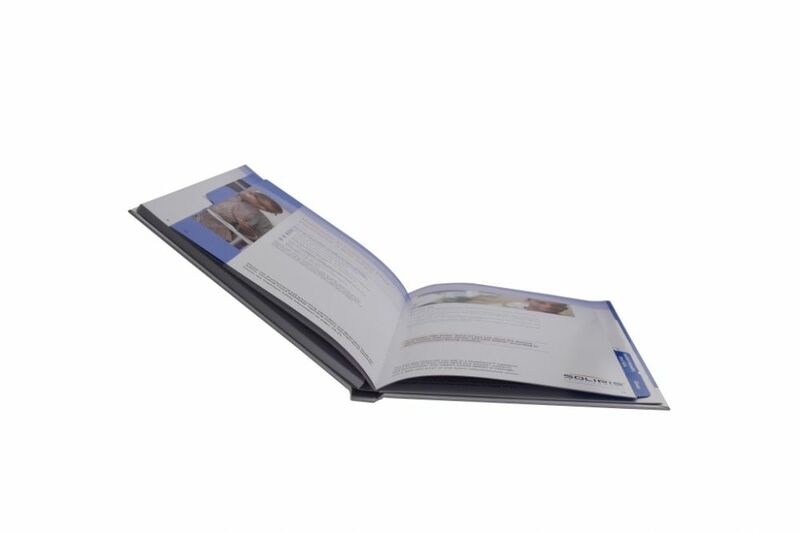 As patients open the Video Book, Americhip’s patented Video in Print begins playing to instantly engage patients and draw them into the rich content. Americhip’s VIP technology allowed Alexion to break its video content into 4 chapters to correspond with each spread of the book, giving patients an engaging education tool combining video and graphic content. The multifunctional Video Book also used color-coded tabs on each spread to further educate patients on how Soliris can help manage PNH. Alexion was extremely pleased with the finished product and has received excellent feedback from the field both from its Rep Teams and, most importantly, its patients.